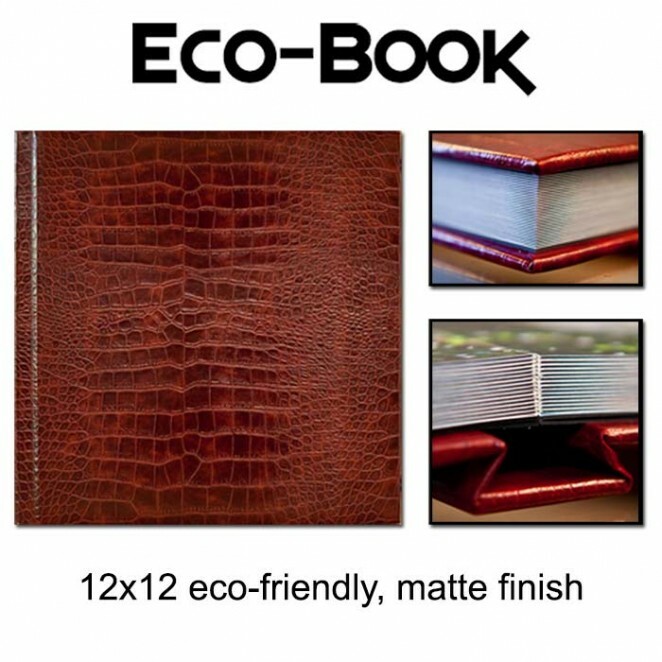 The Eco-Book (as the name suggests) is eco-friendly. This album comes exclusively in a rich matte finish and there are no gaps between the pages. The Eco-Book is available in many different leather styles, as well as eco-friendly photo covers and fabric covers.